Unions representing hundreds of thousands of workers go to court against the governor. While New Jersey Governor Chris Christie continues to campaign around the country, trying to set the stage for a 2016 run for the White House by promoting himself as the Republican who can work with Democrats to make the hard budget choices, the state’s two largest public employee unions went to court to stop him from violating the very law Christie holds up as proof to Republicans he is the man to get the job done. The New Jersey Education Association and the Communication Workers of America each filed suit yesterday to prevent the unilateral pension grab Christie made last month in order to balance the budget for the fiscal year beginning in July. Other unions, including the AFL-CIO, AFSCME Council 1 and those representing police, firefighters and engineers, signed on to the lawsuits, representing hundreds of thousands of employees. As Christie Watch has reported, in May the New Jersey governor unilaterally cut the state’s contribution to its pension plan by $2.4 billion this year and next, in violation of the 2011 pension deal he rammed through the legislature with the support of a few key Democratic party bosses. That pension reform law, Chapter 78—which exacted huge benefit and COLA cuts from employees and retirees, raised the retirement age and increased employee contributions—also required the state to significantly increase its contributions to the pension fund to make up for its having shortchanged the fund for years. The law specifically gave employees a contractual right to these state contributions and the ability to go to court if they are not made. Now the unions have sued. A Superior Court judge has agreed to expedite action on the lawsuits and there will be a hearing June 25. Everyone in New Jersey is subject to the laws of New Jersey, including Gov. Christie. Our lawsuit seeks to hold him accountable to follow the law that he signed in 2011. 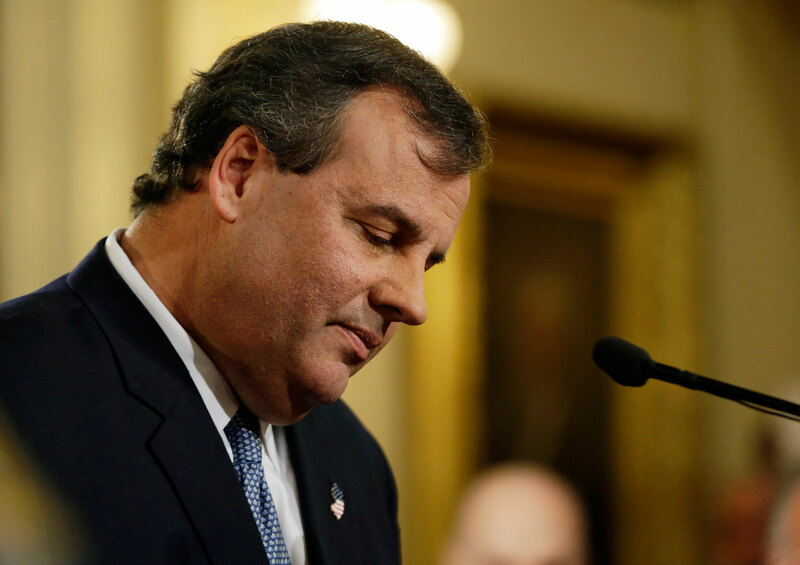 Governor Chris Christie already broke New Jersey’s economy. Now, he’s not only broken his word by failing to make promised pension payment…he’s breaking the law in the process. In New Jersey the recessionary decline started sooner, went deeper and lasted longer.… However, it is also true that for this period New Jersey’s growth in jobs, personal income and gross state product has lagged the nation. Whatever the causes, the budget implications of New Jersey’s lackluster recovery from the recession are profound. If our growth had mirrored the national performance, we would have had about $3.3 billion more revenue in FY2013 to support our budget.… In FY2014 we could have: Fully funded the statutory homestead rebate program and the school aid formula; Or cut the income tax rates by 25%; Or funded 7/7s of our pension obligation and had a billion dollars left over to start prefunding our post-retirement medical obligations; Or repealed the corporation business tax, the estate tax and the transfer inheritance tax. We can disagree but if we don’t establish relationships when the really tough problems need to be solved.… We won’t be able to do it because we’re not on speaking terms. While in Tennessee Christie told voters that supporting a Tea Party challenger to the state’s Republican senator, Lamar Alexander would be “dumb” because that candidate is too divisive and can’t work across the aisle. The Tea Party challenger shot back that what really is dumb is Christie’s handling of his state’s budget, and the resulting credit-rating agency downgrades. Closing the budget deficit should not be an insurmountable problem. Some legislators are pushing for modest tax increases to shift the burden from the pension system. But the governor and his people insist that taxes are high enough. And they know that raising taxes could well disqualify any Republican governor with White House ambitions. Mr. Christie points out that he did not create many of the economic problems in his state. And he complains that the rating agencies “downgrade people who continue to act responsibly.” But failing to fund pension obligations properly is not a responsible act. Unless he does so, his claims to fiscal prudence will be nothing more than bluster.